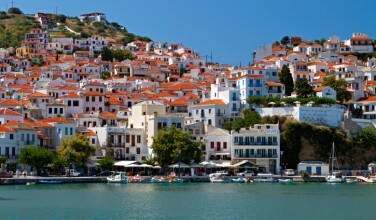 Skopelos is one of those self sustaining islands that has plenty of beautiful, edible plants growing on it. Olive trees, grape vines, plum trees, almond trees – they’ve all found their way into the local cuisine, too. Sure, there are some elements of the cooking that are common throughout Greece. However, the way they put together dishes is unique to the island. 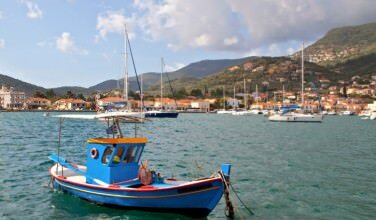 Seafood is also common here and many tavernas and restaurants incorporate the fresh catches. 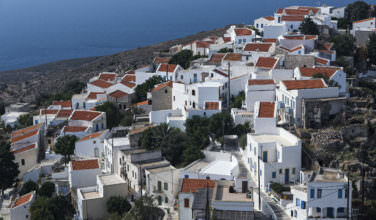 For instance, there is a dish on the island that uses fresh caught Aegean lobsters and is baked into a macaroni casserole. There is also a sweet dish called Camalia that uses almonds, rosewater, and sugar. You won’t want to miss sampling some of these dishes! The beach is another of the highlights of visiting Skopelos. In fact, the beaches are so stunning, you will be sure to get lost here! Be sure to visit Panormos Beach, which is sandy and has plenty of spacious sun beds, Kastania Beach, which as a great resort vibe to it, Milia Beach, which is picturesque, elegant, and fairly tucked away from the noisy tourist crowd, and Stafilos Beach, which is also incredibly scenic. Other beaches to visit include Glisteri Beach, Perivoliou Beach, and Velanio Beach. As you can see, there is a beach located here that will suit every mood! You could spend most of your time on the island hopping from beach to beach and never get bored. You’ll want to visit them all so you can choose a favorite! Outdoor sports are another thing that you can do while on the island. In fact, the natural beauty of the place will inspire you to get outdoors and experience it! Whether you’re hiking through the countryside, taking a bike tour of various places on the island, or enjoying water sports like canoeing, kayaking, or paddle boarding, these outdoor pursuits offer a nice way for the whole family to spend the day. You can’t go to a Greek island without enjoying at least some of the nightlife! There are plenty of bars, clubs, and tavernas to keep you busy here. If you want to go where the locals go, be sure to ask around so that you can enjoy the night the way the Greeks do. Usually this involves delicious food and great music. You can also spend some time in the resort community enjoying the nightlife there, too. 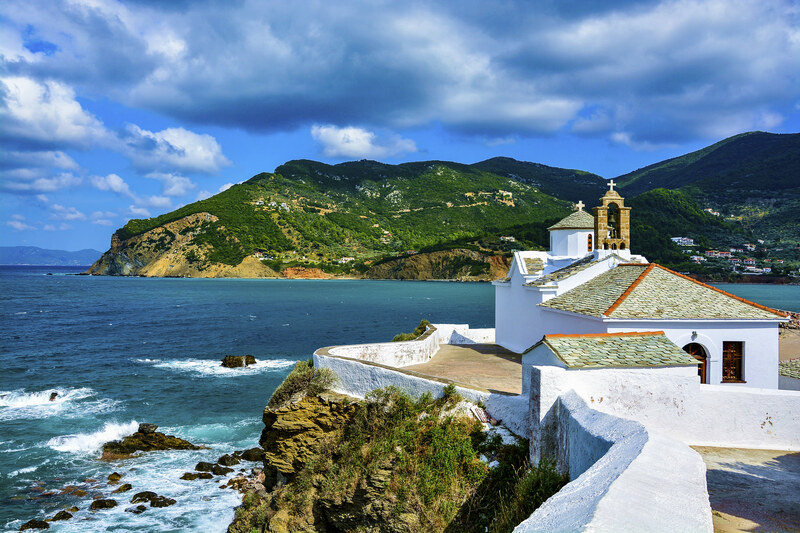 While visiting the island of Skopelos, you won’t want to miss enjoying these fun activities! They’re a great way to take in the culture and enjoy the beautiful scenery.